MEET NEW 20/20 CLUB MEMBER STEPHANIE CLOUTIER! PlanNet Marketing welcomes Stephanie Cloutier to the 20/20 Club! Stephanie is originally from Waltham, MA, but has lived in Windham, Maine since 2003. She has a passion for travel and the outdoors and loves camping, boating, cooking and vacationing in the Caribbean islands. She says, “I have always enjoyed researching vacations and reviews of all inclusive resorts in warm tropical places. I have kind of always been the "go to" person when my family wants to know where to book their next cruise or all inclusive vacation. My husband and I are obsessed with the Caribbean. We have been everywhere from St.Thomas to Belize to Cozumel to the Dominican Republic. Jamaica is our favorite! We have been to the island five times with many more visits to come. It wasn't a surprise to anyone that I specialized in Jamaica travel first! 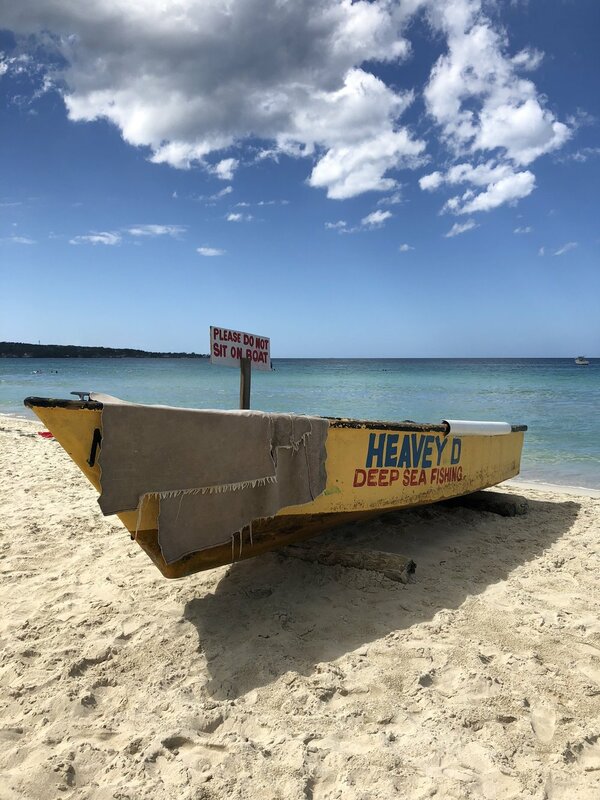 Negril is hands down our "One Love." We were married in Ocho Rios in 2014 right before my husband, Master Sergeant Jason Bowen, was deployed to Afghanistan. Fortunately, he returned home six months later and we then booked another trip to Jamaica! “I have been with PlanNet Marketing since February 2018. I attribute my success to always having had a desire to be an entrepreneur, mixed with the perfect opportunity. I had been in network marketing for just over two years, dabbling in other companies, before I found PlanNet Marketing and the travel agent opportunity. I could not believe it! It was like a dream come true! I immediately stopped promoting the other product I was selling and starting spreading the word to all my friends and family on Facebook about this incredible opportunity! I went LIVE on Facebook almost immediately! “I believe my success comes from the passion and the excitement that I have for this business that shows in my social media news feed. I'm super consistent with giving value to my Facebook page as I spread the word of travel and opportunity on my wall and in social media groups. In June, I offered a private training for other agents on Facebook for a 30-day blitz (intense business push). I had almost 150 travel agents follow my June training as they began to implement some of the social media marketing strategies I had learned over the past two years. Others found it helpful as I taught a few really important tips for being successful - be consistent - you can't grow a successful business if you’re ALWAYS starting and stopping. Always be adding and talking to new people! This is network marketing! You need to always be growing your network. Be authentic and genuine and engage with others; don't always just be out for a sale! Get to know others, find out why they may need or want this financial and time freedom opportunity in their lives. Lastly, follow up! If you don't follow up with potentials who are open to your opportunity, you will never grow your team! The fortune is in the follow-up. “One of the BIGGEST reasons that I have achieved rapid success in this business is that I'm a firm believer in personal development. I listen to audiobooks in my car daily, which is a very valuable thing for those with little time! Your success will never surpass your personal development! I'm also part of social media coaching groups, which I think really helps me plug into the best ways to use these types of platforms to attract others to your business. Ray Higdon is one of my favorite social media gurus and I follow him frequently. Personal development is absolutely part of my success and I'm pretty sure no one can be successful without it. “A fun fact about me: I'm currently a full time nurse. When I started network marketing in 2016, I was given the nickname "NurseStephy" on Instagram. It stuck with me to this day, and most people know me as NurseStephy! Where my husband proposed to me in Jamaica!